Enlarge / This image’s colors make me wish Optimus Prime was in the film. He’s not. That’s pretty much my only complaint about this family-comedy masterwork. Confession time: I was not a massive fan of 2014’s The Lego Movie. I’m not a heartless idiot, of course. I enjoyed it. When it comes to the filmmaking duo that is Phil Lord and Christopher Miller, I’m ride-or-die since the Clone High days, and at its best, The Lego Movie saw them bounce between heart and weirdness in delightful ways. But the film’s “surprise” reveal and its reliance on zillions of Lego-tweaked pop-culture references felt enough like a crutch to take me out of my investment in the film’s strange brand of wit and heart. I say all of this before uttering a word about The Lego Movie 2: The Second Part to make something clear: I absolutely lost my marbles watching this pitch-perfect, hilarious, full-steam-ahead sequel. Lego Movie 2 is everything I hoped for from a film that comes with established characters and setting, and its comfort with the first film’s gimmicks means it spends less time trying to prove itself and more time letting its varied characters grow and explore in exciting new territory. Plus, by the end, I found myself panic-sobbing in a huge way, absolutely appreciating its heartfelt message. Lego Movie 2 is a film that makes quite clear that, unlike the first film’s song, everything is not always awesome—and that maybe there’s still room for Emmett-level cheer and positivity in a world where even Lego minis suffer and struggle. This gallery specifically removes a few of my favorite gags that could be spoiled. Click without fear. For example: it’s not a spoiler to point out that Wildstyle can sometimes be brooding. Even though Emmett will always try to cheer her up! The film explores Wildstyle and Emmett’s evolving friendship in some lovely ways. The film begins exactly where Lego Movie 1 ended, so this image might look familiar. Ars readers know that I was a little cold on Lego Batman as a film, but however you felt about that one, rest assured that the character’s hyperbolized gruffness is used to very good effect in Lego Movie 2. Emmett isn’t so sure about this new visitor. Tiffany Haddish voices a new character (center) whose motives are never entirely clear. The Second Part benefits from this quality in her character. Meanwhile, another new character shows up with apparent wisdom. And a ton of dramatic irony attached. I’ll be careful about plot and spoilers in talking about The Second Part beyond giving series fans a perfectly reasonable clue: this one picks up exactly where the sequel-teasing Lego Movie 1 left off. The universe that main characters Emmett, Wildstyle, Batman, and their friends lived in has some new, confusing visitors, and the film begins with Wildstyle’s dark, pessimistic narration offset by blink-and-you’ll-miss-them visual gags to sum up who’s still around and how they’re doing. The first apparent difference this time around is that there’s no mysterious “Kraggle”-caliber plot device. Within the first 10 minutes, references to the prior film, along with silly descriptors of the aforementioned new visitors, make pretty clear what “outside” factors are at play in the sequel’s toy-obsessed story. If you’re 10 years old, you might not pick up on the hints until the film’s resolution emerges, but either way, they’re not important. I get the feeling there was a math formula at play for this film’s production crew. The filmmakers knew exactly where the “too much funny” line was, deliberately stepped over it for one more killer joke, then relented to let characters fill their lungs with the air of character development and empathy. This happens again and again, like when Emmett applies his master-builder prowess at building stupid things or when a certain gang of wild animals pops the comedy balloon with the kind of comedic impact that would make a Shakespeare “chorus” want to immediately retire. Morgan Freeman’s elder-wizard character Vitruvius has departed, and Lord Business has taken a backseat, but I point out this stuff less as a spoiler and more as an indication of how this sequel has grown from its source material. In Vitruvius’ place is a new “adviser” character, voiced by a surprise actor who does a nimble job of needling his best buddy for the sake of both comedy and character development. And in place of Lord Business, we get a wacky character voiced by Tiffany Haddish who has been written and animated to basically let the actor loose on her inimitable brand of comedy. Whether or not Haddish is your cup of movie tea, there’s no denying that she’s a perfect match for the tension-breaking character she portrays. I delighted in seeing her play an uncompromising version of herself in a PG film. Enlarge / As Ars’ chief “ugh DC Studios films” naysayer, I gotta hand it to Lego Movie 2: its judicious application of pop-culture references, including some great Justice League moments, is top-notch. Additionally, since we’re talking about this film at Ars Technica, I’d be remiss to leave out one juicy insight: that Lego Movie 2 feels very much like a response to the firing of Lord and Miller from Solo: A Star Wars Story. 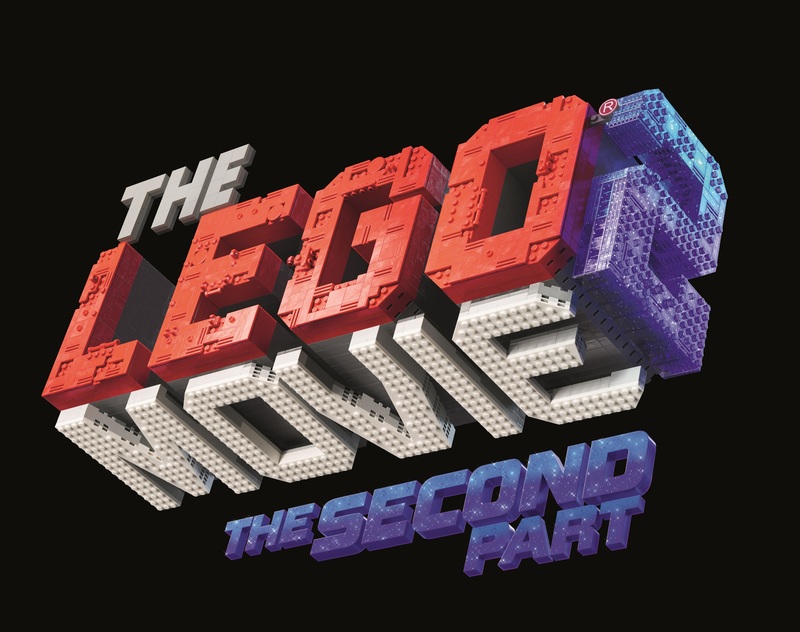 Lego Movie 2 includes a few moments of blasting off into space and what could be seen as “interdimensional” discovery of new places, lifeforms, and personalities. And as I watched wild-eyed wonder meet high-momentum action while so many jokes fell like delightful dominoes, I couldn’t help but think: this is what I wanted from Solo. With Lord and Miller’s roles excised, Solo devolved into a basic rattling of plot beats and monologues. I always felt like Solo was the originally planned film, minus Lord and Miller’s influence, without a substantial “plus” portion to make up for the gap. In terms of special effects and digital wizardry, Lego Movie 2 doesn’t necessarily push the technological limits. Which is fine by me. Like in the first film, this sequel tempers its CGI with janky frame-rate interruptions so that the results look like a classic stop-motion adventure. Instead of pushing next-generation, uh, Lego rendering, Lego Movie 2 simply ups the ante for sweeping views full of immaculately constructed brick buildings and thousands of organically choreographed mini-figs. The whole thing still looks cute in the kind of way that melts away so that you can focus on front-and-center characters and their sight gags. And, yes, there’s another catchy song. (Its inclusion is itself a delightful meta-universe joke, at that.) But the original film’s song mantra, that “everything is awesome,” also gets turned on its head, and even typing that out has me welling up with emotion. I’m not going to lie: everything in my home country of the United States has not been awesome since the last Lego Movie came out, and that fact isn’t lost on children and families who have to look at headlines and reckon with bizarre fallout in ways that can be pretty traumatic. Somehow, some-freakin’-how, Lego Movie 2 focuses its story on troubled, optimistic characters in a fantasy, PG-rated universe—and still anchors its resolutions and moral message on overcoming such omnipresent dread, no matter what age you are. It’s a film about surviving the modern political era without mentioning a single politician or current event by name. They just don’t teach masterful tactics like that in creative-writing class. Bravo, Lord, Miller, and co.
All of it—the laughs, the breakneck pace, the feeling of hope I can draw from whenever I think about this film’s message—make this the most no-brainer recommendation for a film I’ve seen in years. Run your little mini-fig legs to a theater as soon as you can to see The Lego Movie 2.